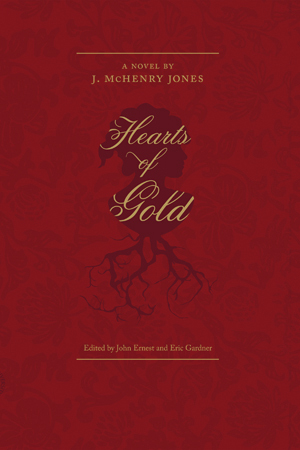 J. McHenry Jones’s Hearts of Gold is a gripping tale of post–Civil War battles against racism and systemic injustice. Originally published in 1896, this novel reveals an African American community of individuals dedicated to education, journalism, fraternal organizations, and tireless work serving the needs of those abandoned by the political process of the white world. Jones challenges conventional wisdom by addressing a range of subjects—from interracial relationships to forced labor in coal mines—that virtually no other novelist of the time was willing to approach. With the addition of an introduction and appendix, this new edition reveals the difficult foundations upon which African Americans built a platform to address injustice, generate opportunities, and play a prominent role in American social, economic, and political life. Educator, orator, and activist J. McHenry Jones (1859–1909) grew up in eastern Ohio. A descendant of African American tradespeople and farmers, Jones chose a career in education. He became the principal of the Lincoln School in Wheeling, West Virginia, and then later spurred more than a decade of growth at the West Virginia Colored Institute (now West Virginia State University) as the Institute’s president. Overshadowed by a modern fascination with Booker T. Washington, Jones not only remained independent from the Washington machine but also carved out niches in state and national Republican party politics, African American societies like the Grand Order of the Odd Fellows, and interracial religious organizations like the Epworth League. Although the multi-talented Jones reportedly authored a handful of novels, critics have located only his 1896 Hearts of Gold, a rich story of Black life at the turn into the twentieth century. John Ernest is Chair and Professor of English at the University of Delaware. Eric Gardner is Chair, Braun Fellow, and Professor of English at Saginaw Valley State University.